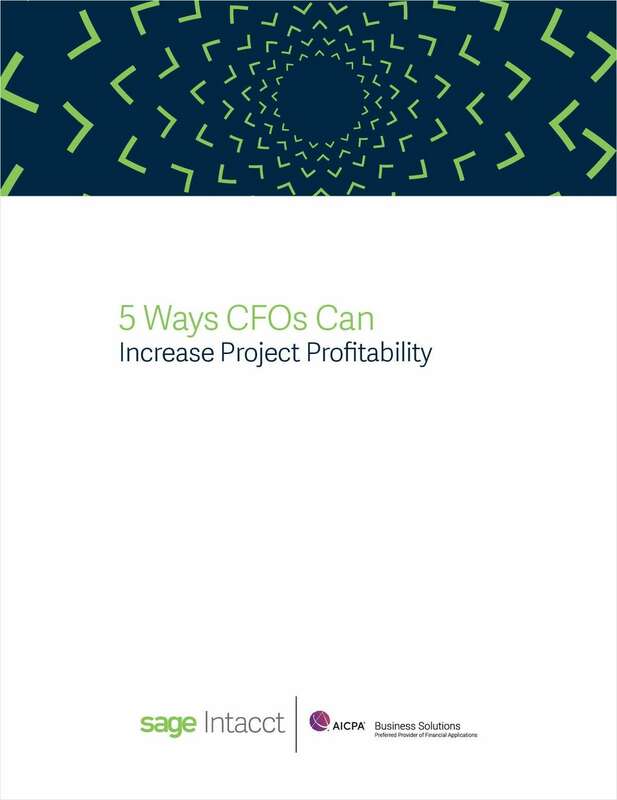 "5 Ways CFOs Can Increase Project Profitability"
Free White Paper: "5 Ways CFOs Can Increase Project Profitability"
The savvy CFOs are tracking numerous key metrics like net income, current ratios, working capital, cash balance, DSO, gross margins, and more. But the one metric that may matter more than any other: project profitability. By submitting this content request, I have legitimate interest in the content and agree that Sage Intacct, their partners, and the creators of any other content I have selected may contact me regarding news, products, and services that may be of interest to me. Are you considering replacing your accounting system?